Saint Nicon was from Neapolis (Naples) in Italy. His father was an idolater and his mother a Christian. At first he was a soldier, but later he went to the East, where he was baptized and in time became a bishop. After some years, he returned to the West and came to Sicily, where he and many of his disciples were put to death by beheading because they would not worship the idols. 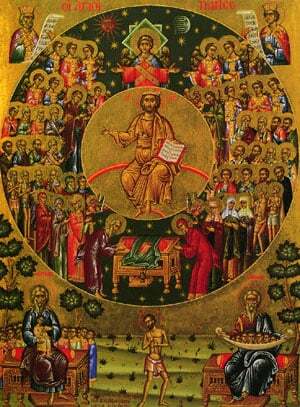 Share the feast of The Holy Righteous Martyr Nicon and His 199 Disciples with an icon greeting ecard.